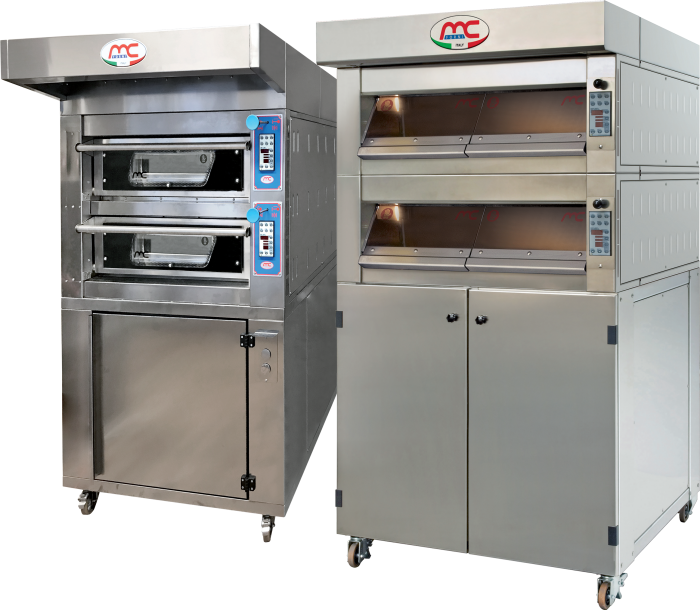 Compact Rotary ovens for Bakeries and Patisseries, with low energy consumption! 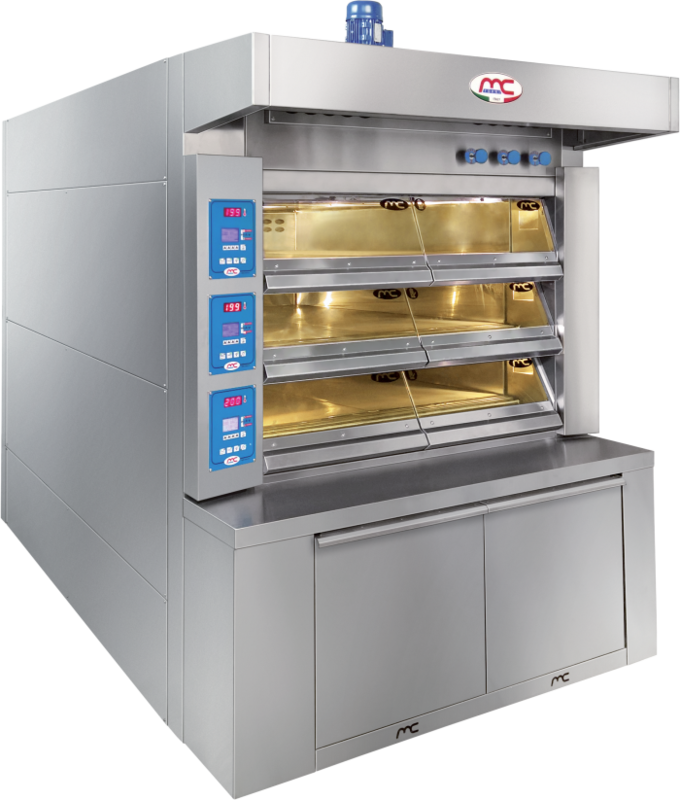 The rack oven MC FORNI BABY 64 at 7-8-9-10 trays is ideal for small workshops of bakery, confectionery and gastronomy and for restaurants thanks to the reduced footprint of 0,9 m2. 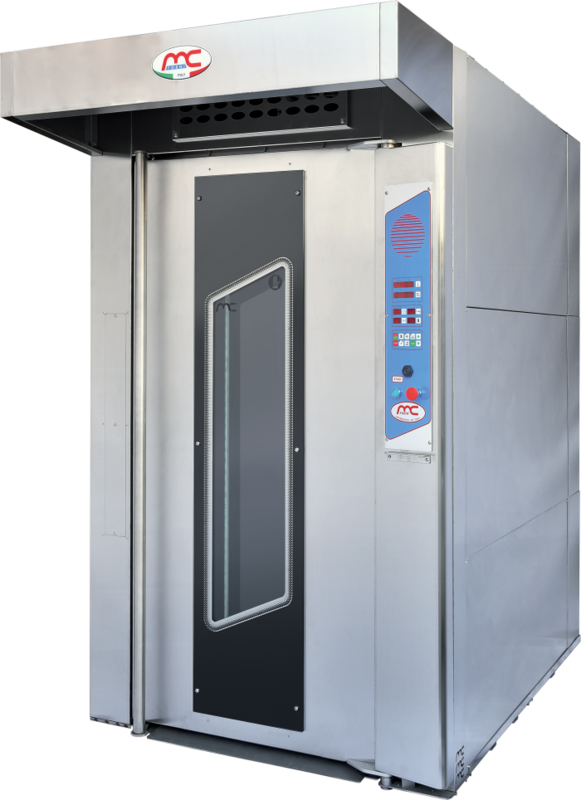 The BABY 64 oven has less energy requirements than all the competitors. 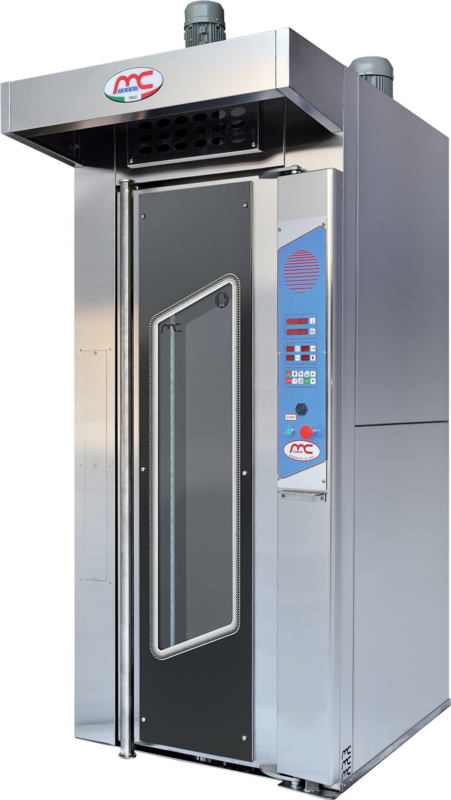 The oven is standard equipped with a steam generator inside. 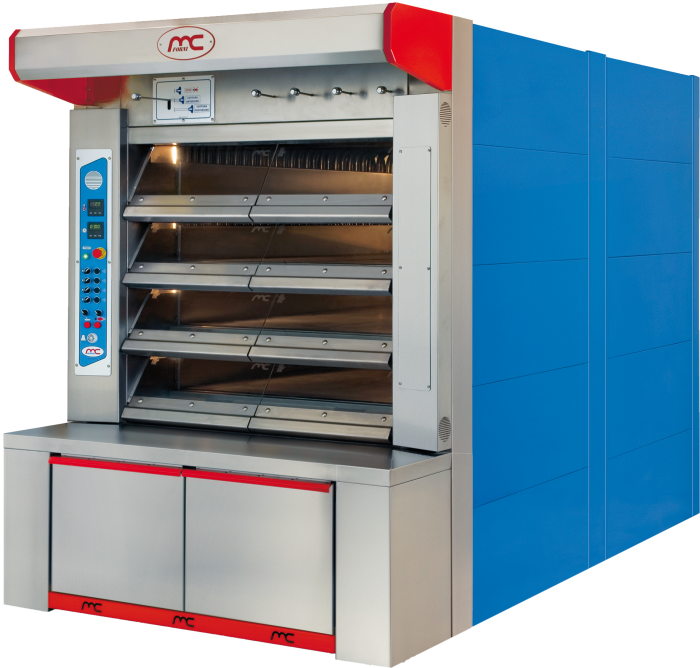 The oven can be combined with an electrical deck oven chamber for two 60x40 H18cm trays, with top and bottom regulation and with an active or passive fermentation chamber.